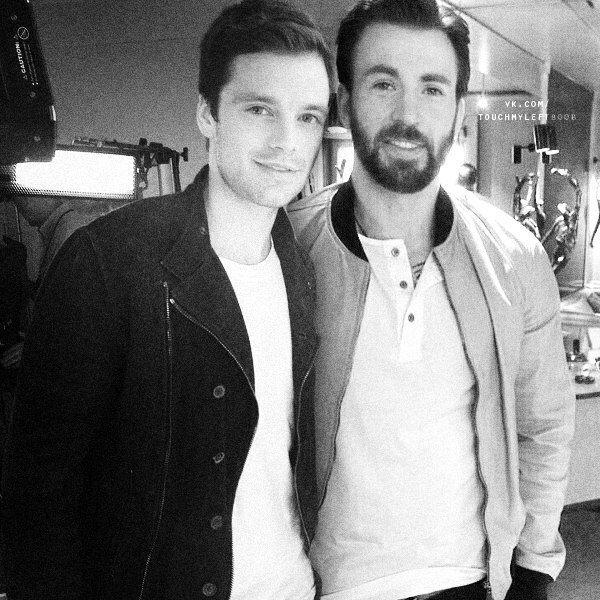 Sebastian and Chris. . Wallpaper and background images in the Chris Evans & Sebastian Stan club tagged: photo sebastian stan chris evans evanstan black and white.